Saulter’s SPRINTER has been on a festival hot-streak. 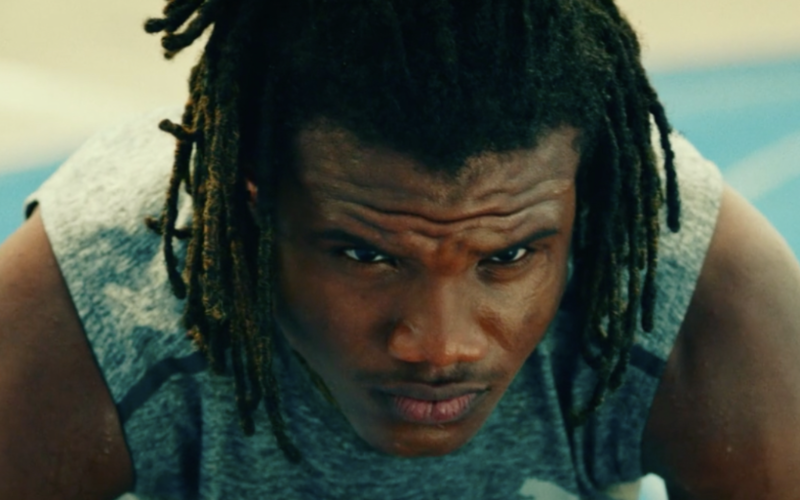 SPRINTER swept this year’s American Black Film Festival winning three top Awards (Best Narrative, Best Director, Audience Award) while also recently premiering in the Caribbean at the Trinidad and Tobago Film Festival to a sold out crowd and rave reviews. Following the Smithsonian D.C. screening, the film heads back to the Caribbean where it will open the Bahamas International Film Festival on November 28th. Written and Directed by Storm Saulter (“Better Mus Come”), the film’s all-star cast includes newcomer Dale Elliott, Kadeem Wilson (“Ghett’ A Life”), Dennis Titus (“The Mighty Quinn”), Shantol Jackson (“Yardie”), Bryshere Y. Gray (“Empire,” “The New Edition Story”), with LorraineToussaint (“Selma,” “Orange Is The New Black,”), and David Alan Grier (“The Wiz Live,” “The Carmichael Show,” “In Living Color”). Producers are Robert Maylor, Clarence Hammond, and Jamal Watson. Jada & Will Smith Executive Produce alongside NBA Veteran and Media Personality Richard Jefferson, Josef Bogdanovich, Zachary Harding, Aaron Carr, Vinoda Basnayake, Donald Ranvaud, Kevin “Flipp” Montgomery, Dr. Lim, Shaffer “Ne-Yo” Smith (who created two original songs for the film), and Reynell “Tango” Hay. “I’m honored that Sprinter was selected to be part of the inaugural festival. Caribbean history and identity is so intertwined with that of the Americas. I look forward to Sprinter sparking some important dialogue within this vital and historic space at a particularly culture-shifting moment in time” said Saulter.